Let’s get back to our Aspergillus series!! 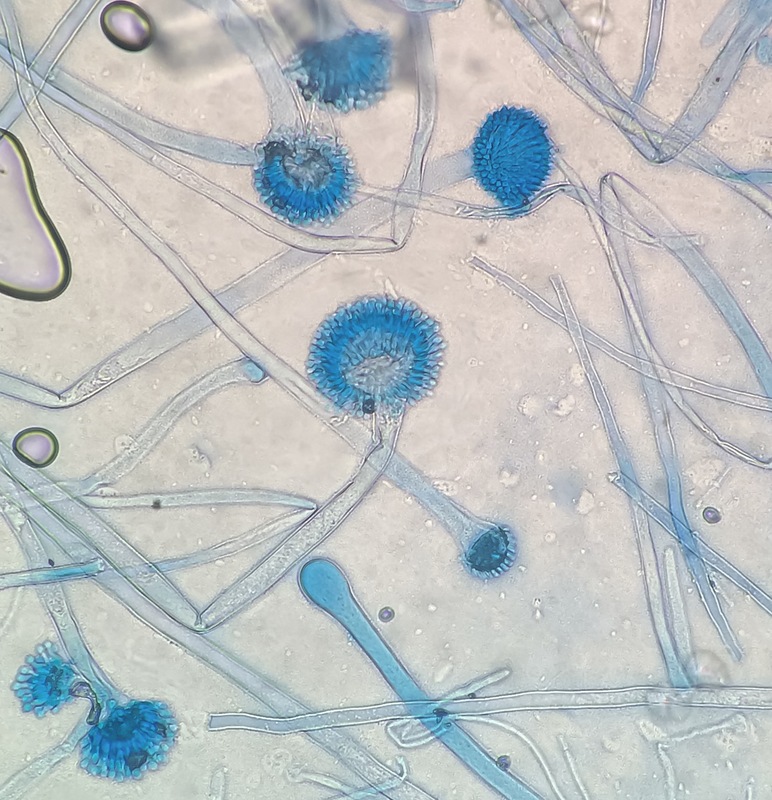 We’ve already covered Aspergillus fumigatus and Aspergillus niger; now we’re on to Aspergillus flavus. I had previously stated that in the lab where I work, of the Aspergillus species fumigatus is first and niger is second. The next in line for me is flavus. 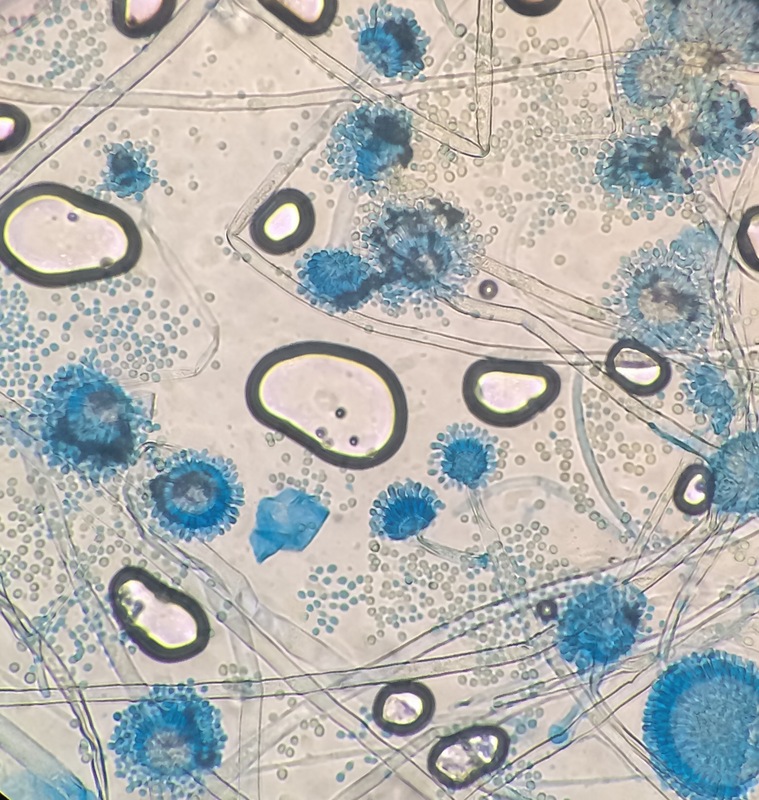 This is kind of interesting, because my Fungus Bible states that Aspergillus flavus is the 2nd most common cause of invasive aspergillosis…I don’t see flavus nearly as frequently as I see niger. 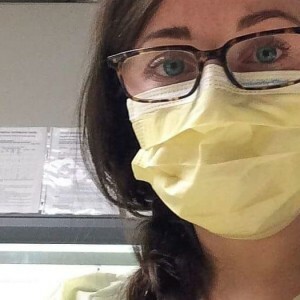 Maybe it’s a regional thing, or our particular patient population. I just found that kind of surprising. 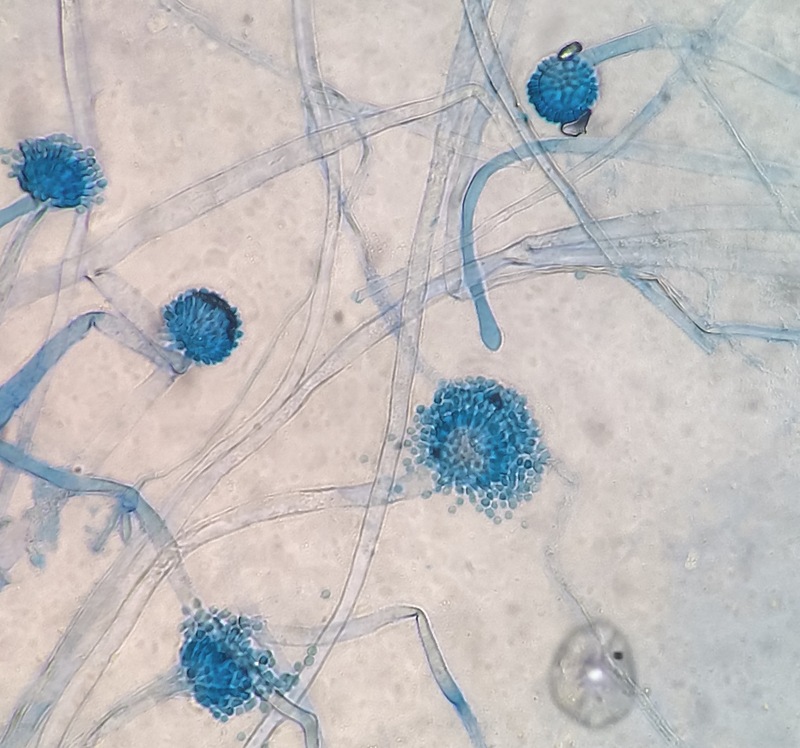 Also worth mentioning; Aspergillus flavus is one of the most commonly reported food-borne fungus! Aspergillus flavus is one of few species that produce something called aflatoxins. These frequently contaminate crops of corn and other grains, peanuts, and tree nuts. While adults have a high tolerance to aflatoxins, children are particularly susceptible. After exposure, some even experienced delayed growth and development. Animals aren’t immune either! Studies have shown aflatoxins effects on dogs, turkeys, and hamsters. The presence of this fungus doesn’t necessarily mean that aflatoxins are present, but there’s always a chance. The microscopic morphology starts with the typical large, swollen vesicle. From the vesicle, both uniseriate and biseriate phialides form in a loosely radiate fashion surrounding most of the vesicle. 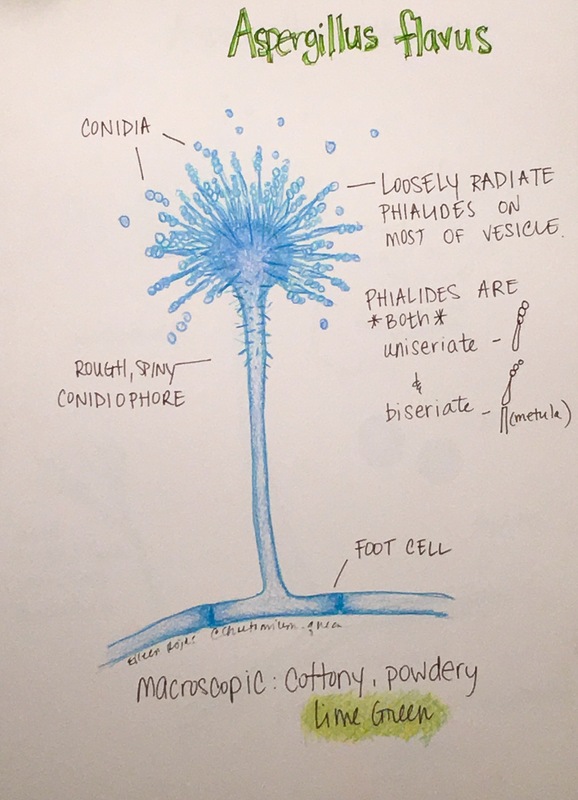 The vesicle is perched on long conidiophores that can be a bit spiny and rough in comparison to other aspergillus species.